Thanks to the hard work of MACHE and others over the years, Minnesota homeschoolers may claim an exemption from MN sales taxes when purchasing items used to perform the educational functions of their homeschool. We have researched what homeschoolers must do in order to enjoy this exemption, and hundreds of our customers have successfully completed this process without any problems. While we have done our best to accurately convey this information below, it is important that you read this DISCLAIMER before proceeding. What items can a home school buy exempt from tax? 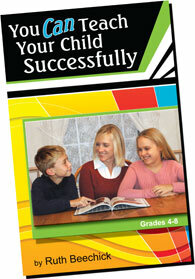 The items must be used to perform the educational functions of the home school. This includes items such as books, pens, pencils, paper, and school supplies used exclusively for educational purposes. The exemption does not apply to purchases of meals, lodging, or to purchases or leases of motor vehicles. General home furnishings such as kitchen tables and chairs, beds, sofas, and fixtures are taxable. Utilities and telephone services are also taxable since these items are needed for the home regardless of whether or not the family has a home school. Purchases of items such as computers, software, VCRs, and TVs, by a home school for use exclusively in its educational functions are exempt. However, these items are taxable if purchased for personal or recreational use by the family. The Minnesota Department of Revenue has also reported that items which contain Christian or other religious content may also qualify for an exemption from MN Sales Taxes for homeschoolers as long as these are used "exclusively for educational functions of the homeschool". Please contact the Minnesota Department of Revenue, Sales and Use Tax Division if you have any questions about which items you may buy exempt from MN Sales Taxes as we are unable to answer these types of questions. There are three steps required before you can claim an exemption from MN Sales Taxes for your homeschool purchases. It is not difficult, and there is no cost other than a small amount of your time and a USPS stamp. Please click on each step listed below to view details and suggestions. Once you have completed all of these steps and filed your Certificate of Exemption with us, you will not have to do this again unless your situation changes. Certificates of Exemption do not expire unless any of the information supplied on the certificate changes. However, the Minnesota Department of Revenue recommends you provide updated Certificates of Exemptions to retailers every three or four years.